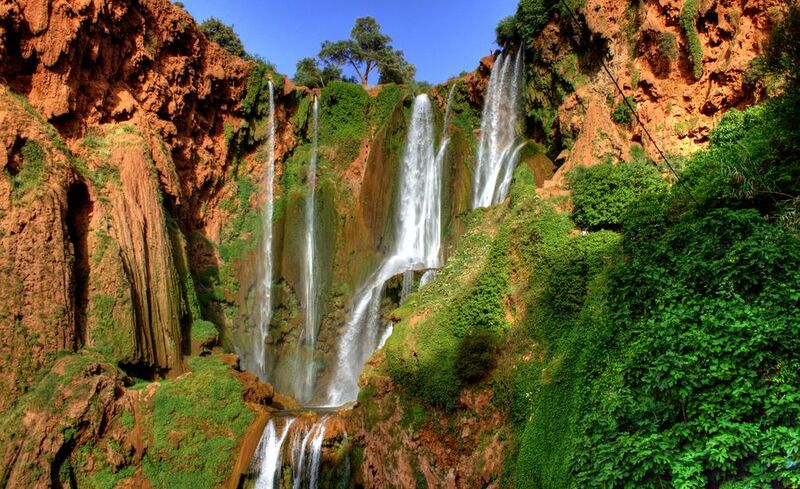 Private excursion in the waterfalls of Ouzoud and the valley of Demnat departing from Marrakech. 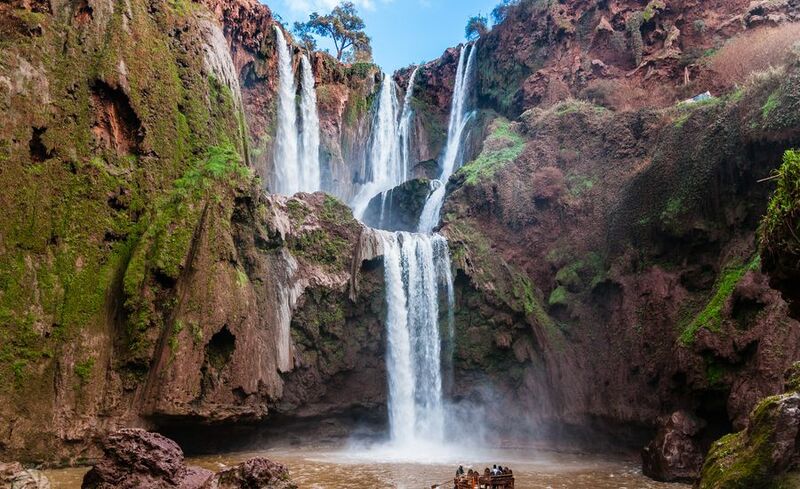 Private Day Trip To the ouzoud waterfalls From Marrakech. Early departure from Marrakesh at 08:00 AM heading in the direction of “Demnat”; a beautiful city known for its green fields of Olive trees. Ouzoud is originally a Berber term that means “grinding grain”. 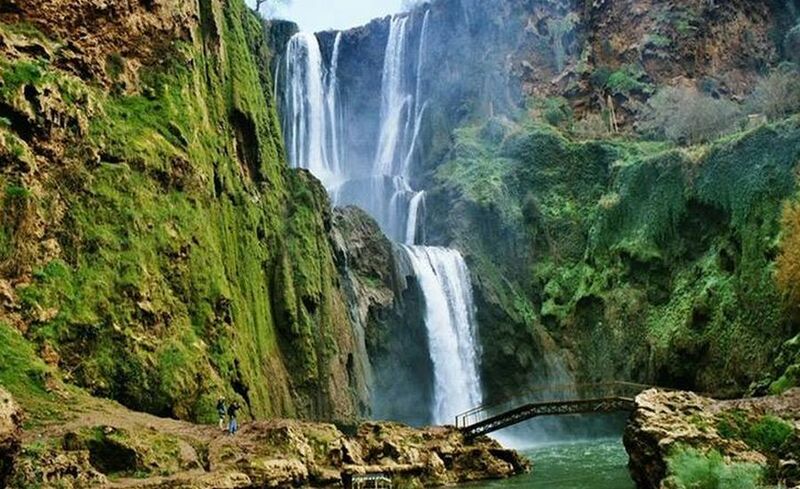 The waterfalls are located in the village of “Tanaghmeilt” and are 110 meters high. 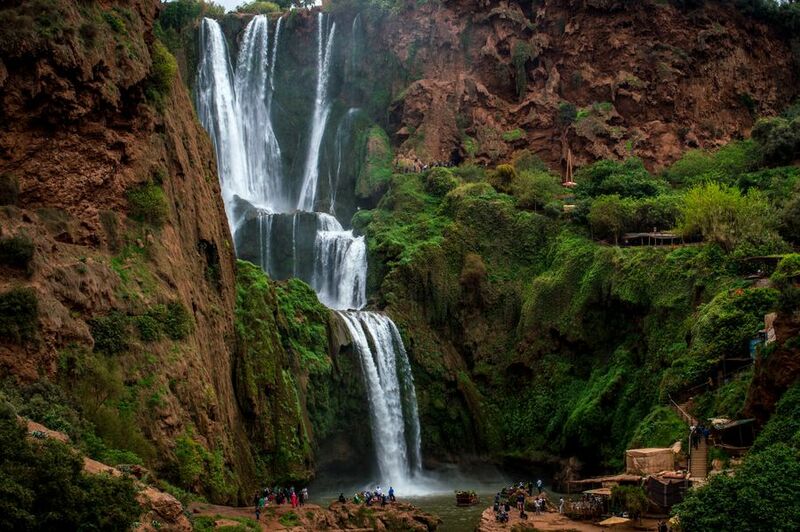 The famous location is considered to be one of the most spectacular natural beauty spots in Morocco. 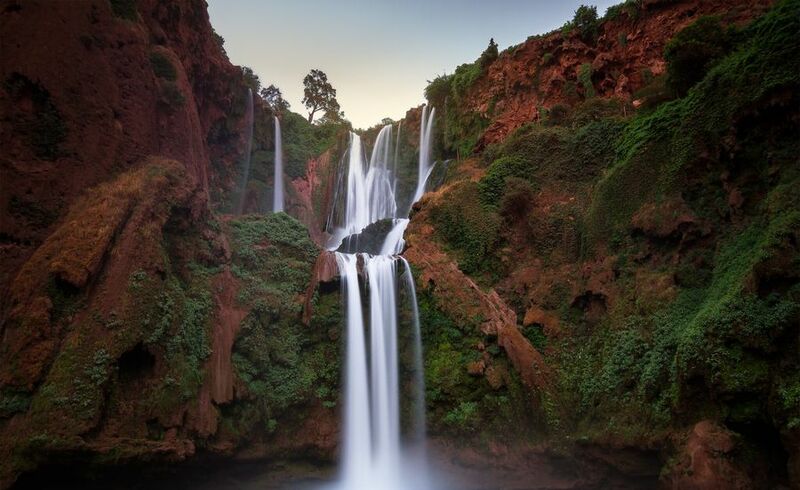 The surrounding countryside is adorned with red cliffs, oleander and doves .If you are lucky, you will catch a glimpse of few apes riding high in the trees. Walking and hiking lovers can enjoy the region at any time of year. 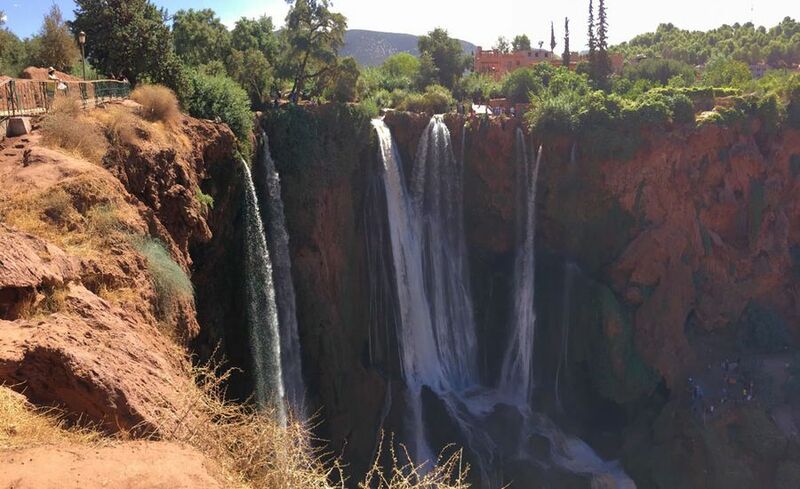 You will be having lunch at one of the most delicious restaurants in Ouzoud surrounded by lime-trees, you will get to enjoy some Moroccan specialties and fresh squeezed orange juice ,at one of the many cafes located in the terraces scattered all along the falls. A short walk will get you to the top of the falls from where you can see some small and constantly active mills.